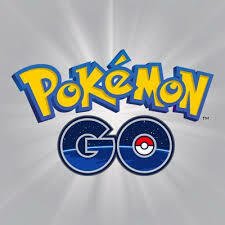 Tampa’s Ballast Point Park is full of Pokemon GO players, nearly everyday, nearly all day, as police are reporting traffic overflows and problems in the surrounding neighborhood. Ballast Point is considered a “one-stop shop” for players, because it boasts a PokeStop, Pokemon Gym, and a lot of Pokemon “spawn” in a relatively small area. The Tampa Police Department says officers are consistently responding to complaints about crowds and parking issues. This has now prompted the city of Tampa asking game developer Niantic to remove “PokéStops” from the park. The park only has limited parking; therefore, when the spots are full, traffic overflows into the surrounding neighborhood. Many people are also parking illegally. “The crowds are also affecting traffic, so not only are we dispersing hundreds of people, we’re also re-routing traffic to ease congestion in the neighborhood,” she said. Tampa officials completed the form to have Ballast Park be removed last week and have not yet received a response, McGregor said.